A bank employee allegedly forged ATM cards to withdraw money from customers’ account. The total amount of stolen money for four years was 40 million. Most victims were foreigners who normally don’t check their accounts. A 50-year-old bank employee was apprehended by the authorities over allegedly forging ATM cards of customers. Direk Kaewchucherd who works for TMB Bank, was arrested in Bang Khen district yesterday. The authorities seized six ATM cards and 20,000 baht in cash from the suspect. 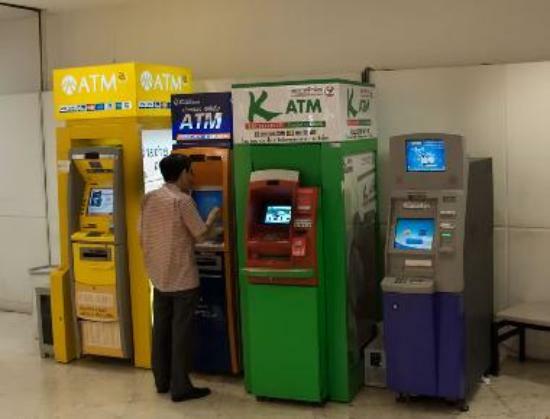 Police revealed that Direk was an employee of the bank for over 10 years, and that he used customers’ information in creating counterfeit ATM cards to withdraw money out of their accounts. Police also added that most of the victims were foreigners spending a lot of money who rarely checked their accounts. The suspect had been doing this act for four years and had stolen 40 million baht in total.